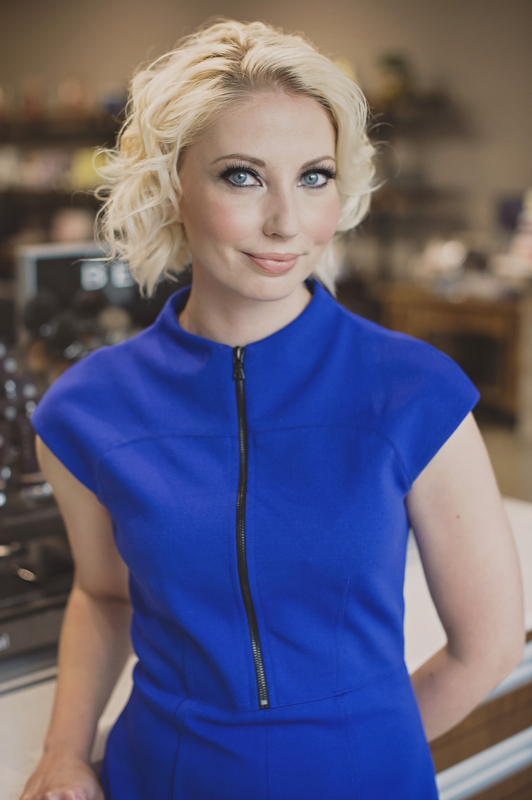 Clara Edvi is a professional Make-Up Artist certified at the prestigious Blanche Macdonald Centre in Vancouver, BC. She has over 15 years of experience in film, television and cosmetic retailing. 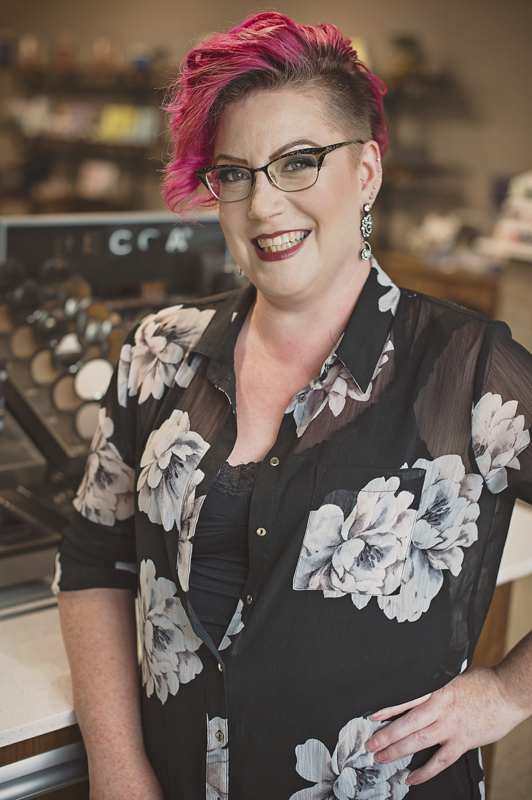 Recently Clara opened The Make-Up Lounge & Style Bar in Regina offering high-end make-up and beauty services, including men's barbering. Her vision is driven by her personal experience with her mother’s two-time battle with cancer. She saw many products used on the body had direct links to many illnesses. Her focus is to provide quality, natural, organic, non-toxic, eco-friendly make-up, skin care and hair products. Her team consists of knowledgeable professionals providing options in support of a healthier lifestyle. The inclusion of the old-time barbering experience makes her business a one-stop shop for the entire family. Clara is very involved in giving back to the community. 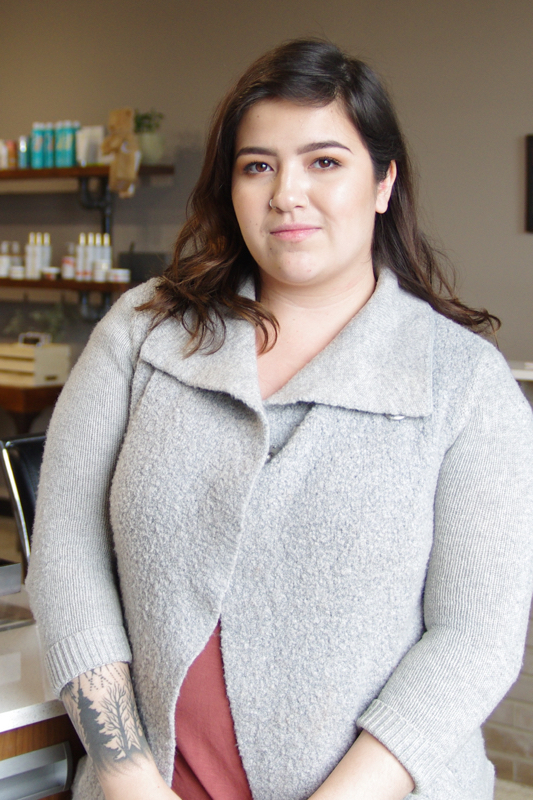 Clara has organized events like “Healing Through Beauty” where she provides a closed event at The Make-Up Lounge & Style Bar for cancer survivors to learn about skin-care and make-up products while they are going through and following their treatments. Clara has a visionary approach to healthy living and has extended that into her business. This allows her clients to have choices that were previously not available here. Favorite Product from The Make-Up Lounge & Style Bar: Bésame 1941 - Victory Red Lipstick. It’s super long wearing without feeling dry on the lips and the shape of the lipstick makes it easy to line and fill in even if you’re not using a lip brush. Product she can’t live without: Indie Lee Swiss Apple Serum mixed with the Squalane Facial Oil. You get all the anti-aging benefits from the serum and amazing hydration from the oil. Skin is left feeling refreshed and glowing and doesn’t feel greasy or cause even the most sensitive skin to break out. LOVE it! Brittany joined The Make-Up Lounge & Style Bar family in 2016. Since joining our team she has been certified in barbering, participated in multiple photoshoots and music videos including Megan Nash's "Bad Poetry" as lead stylist. She is also became published in Surreal Beauty Magazine in 2017. Brittany loves to create individual looks suited to her clients lifestyle and needs. You will find Brittany in Narcity "16 Regina Stylists to Make You Feel Like a Total Bombshell". Some of her favorite things to do include, Bright Vivid Colors, Multi-Dimensional Naturals, Hot Towel Shaves and High Fashion Styles. Brittany believes taking classes is important to keep her skills up to date and continues to take multiple classes a year. She looks forward to having you in her chair. Being a certified red seal journeyman hairstylist, I specialize in the precision cutting techniques of Vidal Sassoon. With my artistic side and great attention to detail I love to come up with styles and colours that are individualized to each client's needs. Having earned my cosmetology diploma from the Eveline Charles Academy in Edmonton, I am trained in both men and women's cuts, creative and corrective colours, styles, updos, and hair extensions. I believe it is very important to stay up to date on the latest styles so I am constantly learning new methods and staying educated. Recently earning a top 5 placing in Canada in a barbering competition, I have also been awarded 4th place in the Alberta Skills Hairstyling Competition and have had the wonderful opportunity to work with the Western Canadian Fashion Week show in Edmonton. Whether you are looking for just a clean-up or a drastic change, one of my biggest passions is making others feel beautiful in their own skin. So I would absolutely love to work with you to achieve that! Hello loves! My name is Keisha MacDonald. I am from a small town in Saskatchewan. I have always been passionate about art and beauty. I love that my job as a make-up artist allows me to combine those two passions. In May of 2017, I attended Avant-Garde in Regina and received my Freelance Make-Up Artistry Certification. I am so excited to apply my education in make-up to my lovely clients. A huge shout out and thank-you to The Make-Up Lounge & Style Bar for opening up their arms and welcoming me into their amazing studio. I look forward to meeting you all! Shana has a bubbly personality and an infectious smile! She has over 18 years of experience in the hair industry and has her red seal journey person’s certification. She attends training often to keep up with current trends and techniques, so she can provide the best service possible and pass along that knowledge to her clients. In the last year, Shana has fallen in love with the KEVIN.MURPHY brand and has truly embodied their philosophy of kindness and love for her job! Shana is always accepting new clients and can’t wait to show your hair some love! Favorite Product from The Make-Up Lounge & Style Bar: KEVIN.MURPHY Leave.In.Repair not only smells amazing but makes the hair super soft and manageable. Product she can’t live without: Indie Lee COQ-10 Toner is super gentle and doesn’t make the skin burn or tight after use. Feels soothing and calming. Love using it to refresh the skin after the gym.